A police agency that is committed to community policing involves the community in the prevention of crime and disorderly behavior.  The Buffalo State University Police provides educational programs to students, faculty, and staff to promote personal safety, increase campus security, and deter crime. For women only. Participants must attend ALL sessions to complete the course. Upon receipt of registration, students will be contacted with details of location and proper attire. No cost for students, faculty, or staff. Pre-registration required. Click on the RAD program registration form link in the column to the left. complete the form and submit by email.